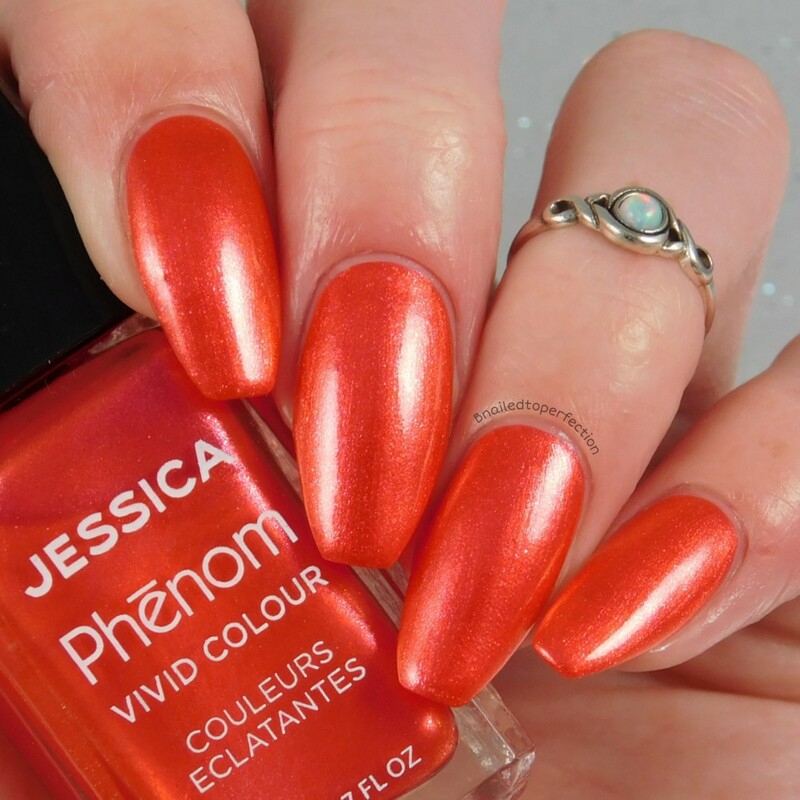 We made it to hump day guys and I have a fab new collection to show you from Jessica Nails! 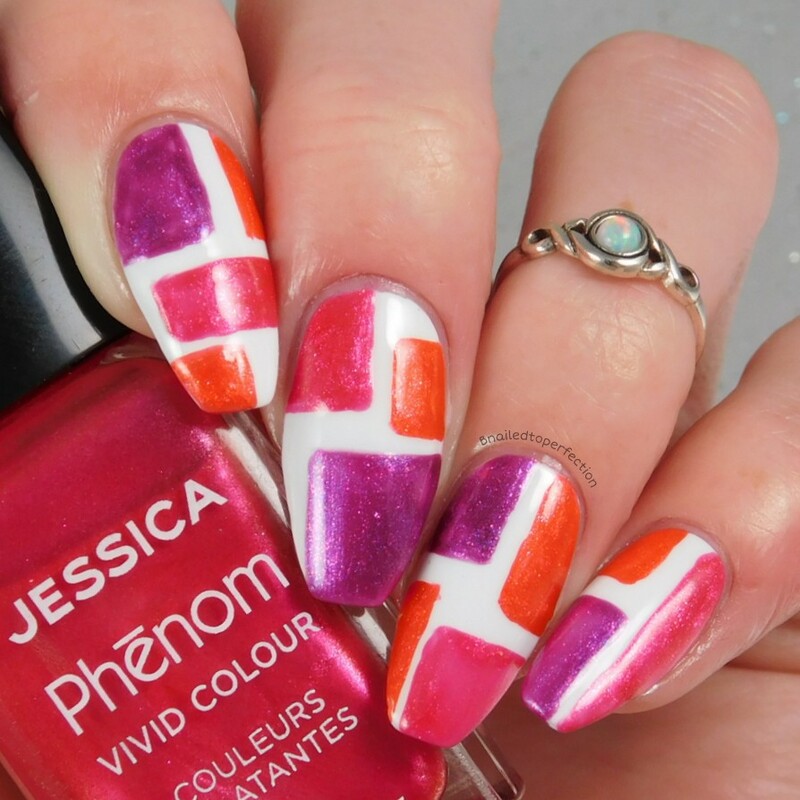 These three polishes make up a new Phenom collection called Dancing Queens. These shades just scream 80's and disco days and they are just perfect for the summer. First up is She's Got Moves which is described as a bright watermelon metallic shimmer. This is such a different colour and it applied so nicely in just two coats. My favourite from this new collection is Last Dance. 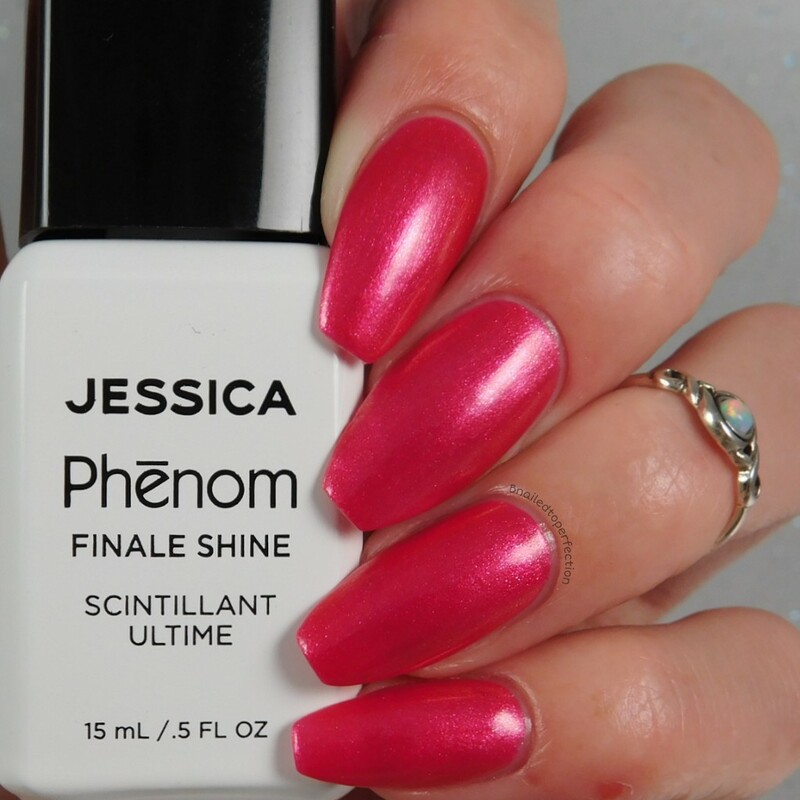 An iridescent hot pink with metallic shimmer. 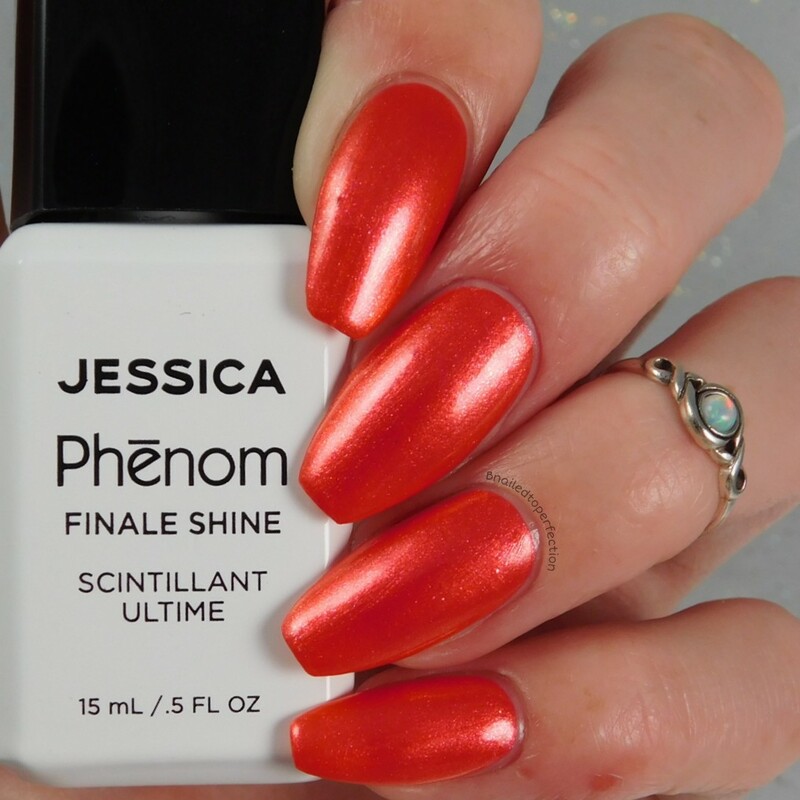 This was so bright and applied wonderfully in two coats. Last swatch from this collection is Do The Hustle. A magenta purple with metallic shimmer. This also applied perfectly in two coats. I decided to have a go doing a colour block mani with these polishes. Considering it's the first time I've done it freehand with a nail art brush, I don't think I did too bad. Yeah some lines are a bit off but I'm happy with my first attempt. Plus, I think all the colours look really nice together. 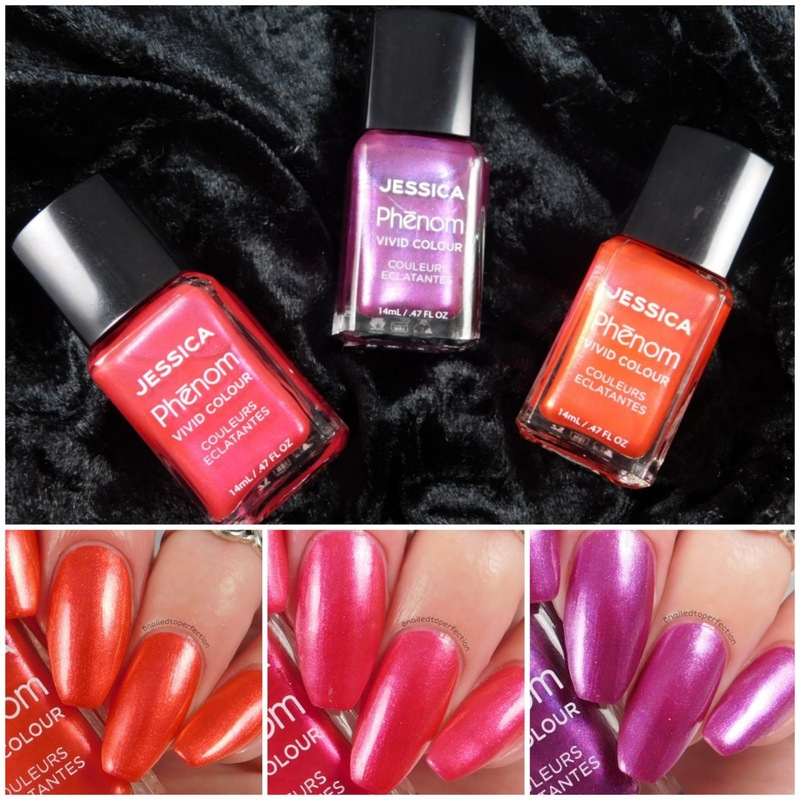 These polishes are available today from Jessica Nails for £13.50. You can also get them from Amazon Luxury Beauty UK, select John Lewis stores, and spas and salons nationwide.